Fr. Jean-Marc Sierro was born on the 28th of July 1958 in Switzerland. He studied theology in Fribourg where he obtained a licence in Canon Law. Ordained in 1988 he was appointed to the Republic of Central Africa where he did his missionary placement from 1979 to 1981. In 1992 he had to come home because of malaria. 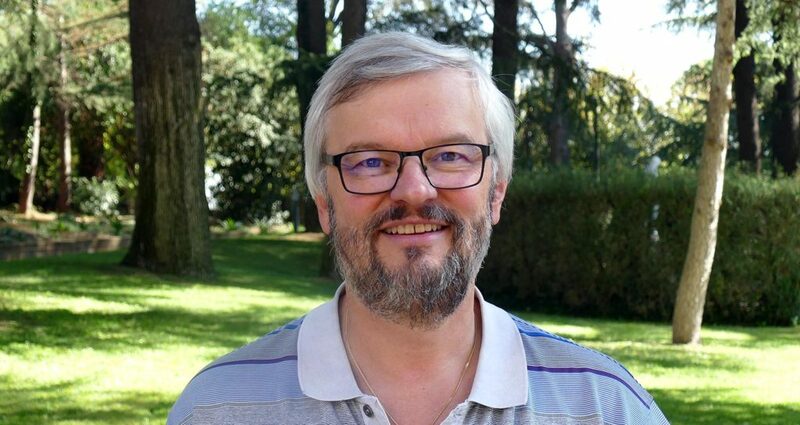 Since he could not go back immediately, he did his master’s degree at the University Institute of Development Studies in Geneva from 1992 to 1994, while engaging in Sunday ministry with the pastoral team in the parish of Carouge. In 1994 he was appointed as bursar in the Province of Switzerland while being fully involved in all the affairs of the Congregation in the country. In parallel with this responsibility, he was for seven years a member of the theological commission Swiss Lenten Action. He was also chair of the Science of Religions of the Faculty of Letters of Fribourg University, where for 12 years he taught African culture and religion and gave courses on the important authors of sociology and religions and the methodology of scientific research. Together with other religious, he helped found the Swiss branch of the Africa-Europe Faith and Justice Network, of which he is still a member, as well as the Voyage-Partage group which arranges for young people to have an experience of mission for a period from three months to a year. Since the beginning of 2015 he has been the General Bursar of the Congregation.